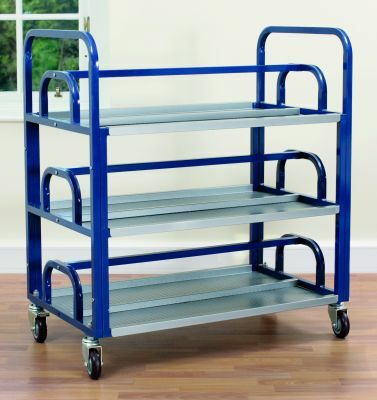 A manoeuvrable trolley and high capacity trolley for storage of up to 60 lunch boxes. Strong steel frame designed to withstand the daily rigours of a school environment. Comes with large heavy duty castors, two locking.